Sears houses often come in pairs. Why? Sometimes a carpenter would purchase two nearby lots and put up two different Sears models. Sometimes an individual would purchase a Sears house for their family and build another Sears house as an investment property. Sometimes two different family members would build Sears houses next to one another. Sometimes a recently platted neighborhood would have many houses built at the same time and coincidentally Sears houses would be built by separate individuals on the same block. There is a cluster of six Sears houses on Glen Avenue in Crystal Lake that falls into the latter category. 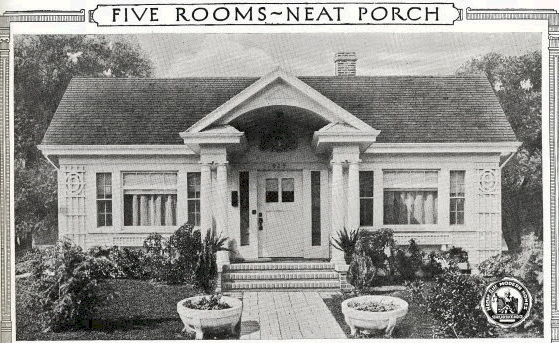 They were purchased by different people in the 1926-27 timeframe as the area was quickly being developed. 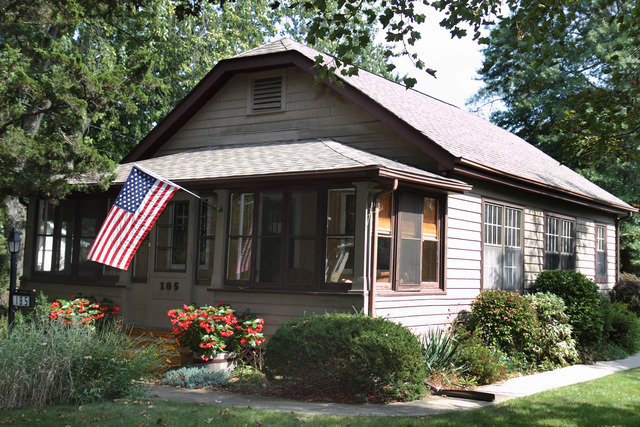 160 Glen Avenue, Crystal Lake. This Sears Ardara is unmistakable, even 92 years later. There is an attached garage, but it is blocked from view. This Ardara has been authenticated in two ways. The first is through a mortgage record. 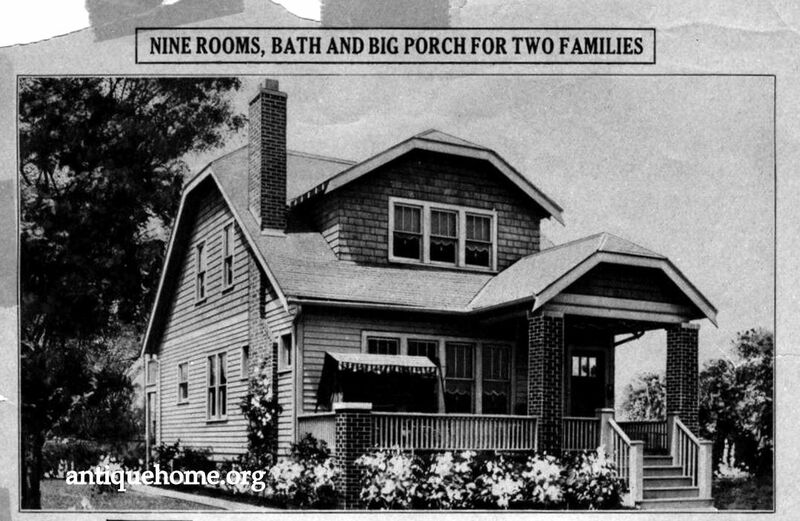 Owners Fred and Mabel Bristol took out a mortgage from Sears Roebuck in July 1926. The second way was through a published testimonial. 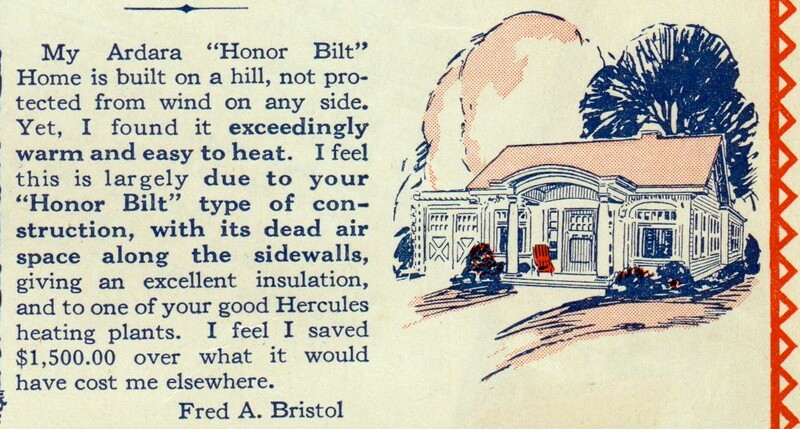 Fred wrote a letter to Sears extolling the virtues of his Sears house and the furnace he also purchased from Sears. That's a stock illustration of an Ardara, but it's not an actual illustration of Fred's house. Testimonial published by Sears Roebuck in 1928. 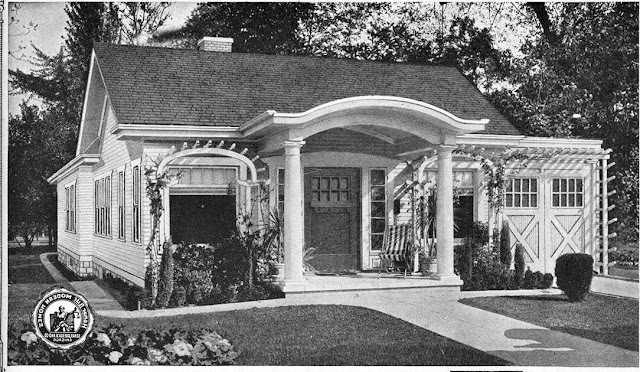 Scan courtesy of Sears Houses in Ohio. 170 Glen Avenue. Crystal Lake. Almost a year later, a Sears Crescent was built next to the Sears Ardara. Again, this Crescent has been authenticated in two ways. The first is through a mortgage record. 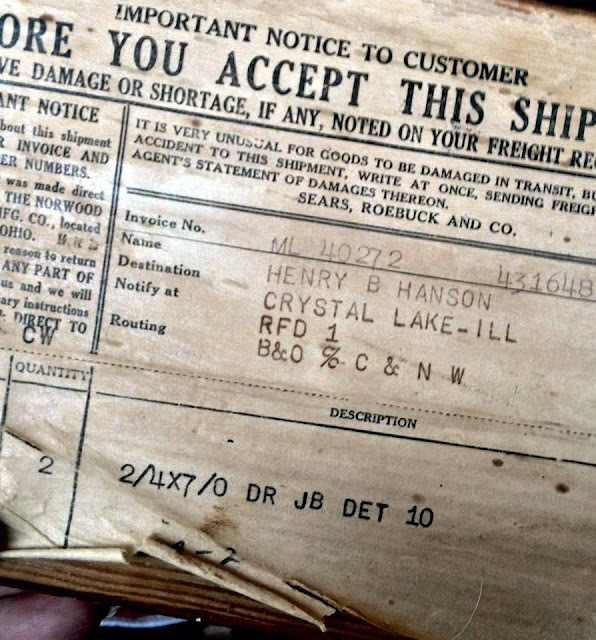 Owners Henry B. and Eliza Hanson took out a mortgage from Sears Roebuck in May 1927. The second way the house is authenticated is by the presence of a shipping label from Sears. Henry's house was delivered via the B&O Chicago and Northwestern Railroad. Photo courtesy of Justine Neslund. 180 Glen Avenue, Crystal Lake. 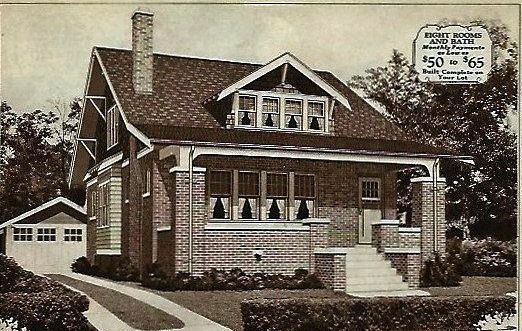 The dormer has been expanded on this Sears Bedford, but it is still recognizable. The house is authenticated by means of a mortgage record. Owners Fred J. and Mary C. Schroeder took out a mortgage from Sears in May 1927. 185 Glen Avenue, Crystal Lake. Photo from Realtor site. This Sears Sunlight is authenticated by means of a mortgage record. Owners Lester and Alma Hapner took out a mortgage from Sears in September 1927. 202 Glen Avenue, Crystal Lake. Sears Manchester. Scan courtesy of antiquehome.org. The Sears Manchester was a two-family home. This Manchester is authenticated by means of a mortgage record. Owners Frank E. and Frances Anderson took out a mortgage from Sears in May 1927. The owners also report marked lumber in the house. There is also another Sears Crescent at 232 Glen Avenue, but I don't have a photo of that one. The house was built by Gabriel and Mary Cseh in the summer of 1927. When I find one, I always like to look around because often I'll find more houses in the vicinity. I'd be willing to bet that the dormer on that Bedford is original. Why? Because few builders making such an alteration would be conscientious enough to match detailing that well. Looks legit to me, but the only way to tell for sure would be to examine it in person. Thanks for the cluster of houses; they're all fun!